It's not a scarf... not a shawl... and definitely NOT a poncho! 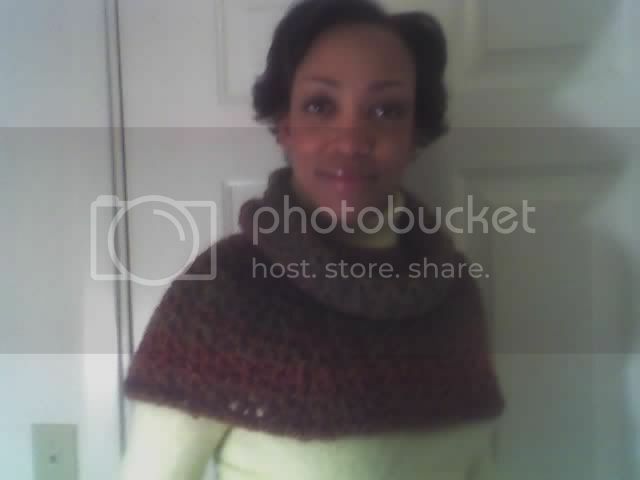 It's much more fitted than a capelet which allows you to wear it underneath a coat. I had seen these so many times, never crocheted, only knitted. Since I am not quite skilled enough to knit in the round, I decided to go ahead and stick with what I know best. 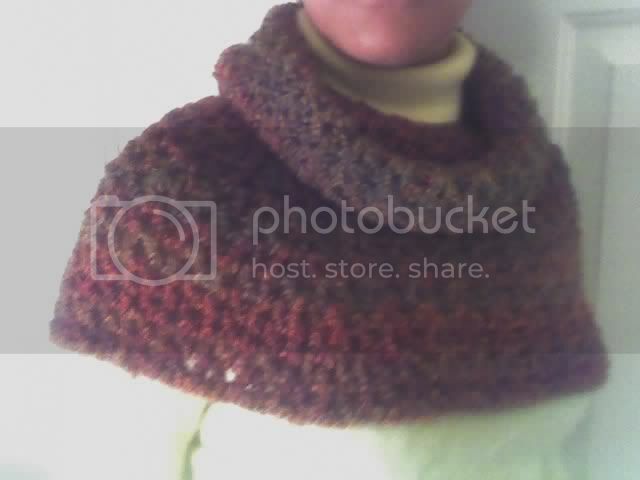 I did this in Homespun which I am not a great fan of, but I wanted something that was a #5 - bulky and variegated. I was drawn to these colors and Noro was not in my budget this week!